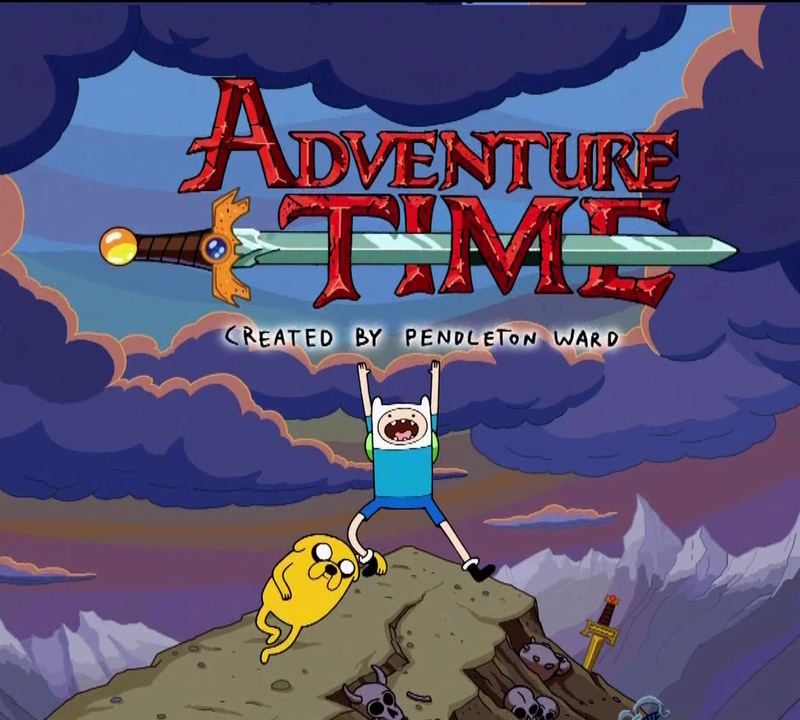 This year marked my gaming group’s wholesale infatuation with Cartoon Network’s Adventure Time. Beyond the in-jokes and references, which saw me as the consummate outsider wondering why people were laughing at nothing, the fascination has reached a point of Finn and Jake themed cupcakes on the occasion of someone’s birthday. I took this occurrence as a clear indication that the fixation was not a passing fancy for want of a new season of Breaking Bad. To that end, I decided to watch a few episodes. And the more Adventure Time I took in, the more confused I became. Even now, with perhaps a dozen episodes under my belt, I still don’t have a sense of the meta-story, assuming there is one to be found. At least Spongebob Squarepants made its intentions well known from the outset: abject stupidity for the kids paired with literary references for the adults. But with Adventure Time, I am equal parts fascinated and confused. For example, one episode sees the Ice King, a regular antagonist I’m told, shaving his beard as a prelude to rebranding himself as the “Nice” King. Therein all the local princesses fall in love with him, despite the fact that the Nice King embodies every awful dudebro stereotype. Assuming that children are indeed the series’ target demographic, I count it as a good thing that the Ice King’s attempt to make various princesses change their bodies to suit his tastes results in a complete failure. Finn and Jake, ever the paragons of virtue, expose the Nice King’s shallow behavior, which in turn leads to his reveal as the Ice King, and everybody learns to be happy with who they are. Not a bad take-away message. But then there’s an episode entirely focused on Finn making a sandwich. Before Finn can eat his lunch, a riddling brigand steals the culinary creation, imprisoning himself and the wayward sandwich in a molasses based, space-time anomaly. BMO, a skateboarding Japanese videogame console, and Mareceline the Vampire Queen’s attempts to liberate the absconded meal prove fruitless. Only when Jake, pained by the loss of his creation, wanders into the bubble do we learn that sadness allows time to flow at a normal rate within the molasses sphere. To maintain his ennui, the canine offspring of Bender and Marcus Fenix imagines his own death. Specifically, Jake envisions the graveside confession of a muscular cupcake man who wishes he had spent more time getting to know Jake when he was alive. He said, “Neither. It was about the love between a man and the perfect sandwich. Haven’t you seen Friends?” And oddly enough, I was okay with that answer. Sure, I’ve never cried over a meal. But I do remember an amazing lamb burger that I made right around the time The King’s Speech came out. And in making me salivate over that burger, the episode proves its point. Yet this seemingly shallow love affair with lunch came after an episode which posed a serious question about living in a world of absolute truth. It is certainly a kid friendly philosophical question. Who doesn’t recall the first time learned manners came into conflict with pure honesty and the sense of internal dissonance it caused. At the same time, the query is sufficiently meaningful as to prompt an adult audience’s examination on the “necessity” of polite lies as an anchor of civil society. Or maybe it’s all a big joke at the expense of Adventure Time’s adult audience. Perhaps Adventure Time’s tendency to offer positive, that is to say non-overtly sexist or otherwise problematic, take away messages to its younger demographic is prompting us to construct a false subtextual structure around non-sandwich themed stories. Then again, I wouldn’t be surprised to learn that Finn is in a coma and the entire series is a fantasy themed Life on Mars. Either way, I’ll keep watching if only to try to intuit what Adventure Time is doing, other than making me feel stupid for not knowing what it is.